Sergei Kharitonov is the personification of Combat itself. Tough, strong, resilient, always looking for the win, always trying to come out on top. Kharitonov carries all the tradition and characteristics that MMA has built into its fighters throughout the years. Masterful at stand-up, he's also very well versed in ground fighting. Knows what he's doing in the clinch and his throw game is on par with any. I'm not going to bore the reader with a fact sheet about Sergei's birth date, his upbringing or his martial arts background (however that will be a topic that I'll reference a lot). 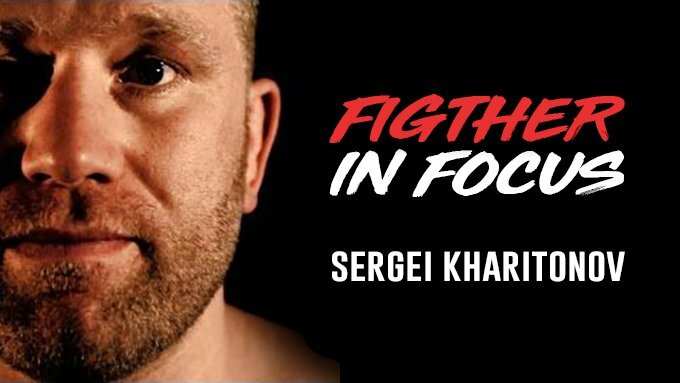 No … Instead I want to talk about some of my most fond memories of Sergei Kharitonov's career and I want to take a good look into his upcoming fight on M-1 Challenge 92 - an event you can watch right here on FITE. As a lifelong combat sports and martial arts fan, I've not turned my eye away from MMA ever since I first saw it on the scene. And as many FITE fans would probably agree, some of the all-time best moments to me come from the grand stage of PRIDE. The spiritual Coliseum of Japan. Many of the greatest fighters out there had their star shine the brightest on that stage. Guys like Fedor Emelianenko, Dan Henderson, Wanderlei Silva and far too many more to name. All of them help create a generation of great fans. And among these great names - an ever so dangerous competitor was created. Sergei Kharitonov. The first time I really noticed him was way back in 2004 in his match with Semmy Schilt. Semmy, who later on went to become one of K-1 and Kickboxing's biggest legends, was (and still is) by far one of the biggest guys I'd seen in a ring. Kharitonov, who himself is a very big guy, looked so small next to this giant. My young and impressionable mind at the time thought "Big guy's gonna flatten this dude!". Well … nope. Late in the opening round (a PRIDE first round - 10 min. ), Schilt was a bloody mess and Kharitonov got his hand raised. At the time I couldn't really assess all too well what was happening but watching this fight now it seems all too clear. Sergei's background in Sambo was a huge factor in his win but it was not just that. His wealth of experience in amateur boxing really helped out here. Having won a silver medal at a high-level amateur competition the prior year, he must have been feeling quite confident in his skills and it shows. The boxing experience helped him stay safe and judge his distance. Let him wait it out, pick his spots and go for the awesome hip-throws and takedowns, so well represented in Sambo. Kharitonov's next match was also a huge surprise to me. He fought the great Minotauro Nogueira at a point in his career where he'd only been defeated by Fedor Emelianenko. Nogueira was the perfect package - a BJJ black belt that was submitting people left and right with a great boxing skillset. At the time he was training under the Cuban style amateur boxing program and anyone who knows anything about amateur boxing will tell you that it's pretty much the best thing out there. So again, in my young mind and still untrained eye, I thought - Minotauro is going to completely dominate this fight. He has this, easy work. Well, I was wrong again. Though Kharitonov still lost that fight, it was one of the most competitive bouts I'd seen in a long time. A decision win for Nogueira that was not easily earned. Kharitonov was more than a match for Minotauro, holding his own in all departments of the game. Stand-up, ground, clinch, submissions. At this point I knew he was one of the top contenders at the time. As time passed, Sergei accumulated some great wins and some not so great losses. Some he managed to avenge (case in point - heavyweight great Alistair Overeem), others left a bitter taste for his fans (case here - the Jeff Monson loss). Whatever the case, Kharitonov had straightened his record out and was on a three-fight winstreak when he met former UFC champion and current heavyweight contender Andrei Arlovski. It was Sergei's Strikeforce debut however this match had lots of questions behind it. Arlovski's career was in a very bad place at the time. Coming off of four losses, three of which by knockout. It looked like it's a do or die situation for Andrei and nobody knew what to expect of him. At that period, Arlovski was training with Freddie Roach, one of boxing's best coaches and one of the people credited for Manny Pacquiao's success in the ring. The fight itself however was short. Sergei Kharitonov had Arlovski knocked out within the first round. He managed to show just how much of a dangerous fighter he is. With him having avenged his loss to Alistair Overeem and having knocked out Andrei Arlovski, things were looking good for Sergei. At this point, Kharitonov had showed why he has all the tools needed to become the Strikeforce Heavyweight champion. However he had a very tough road ahead of him. He had to face former UFC champion and all around MMA legend Josh Barnett. If he were to win against Barnett, he would have to fight against the winner of the match between Antonio "Big Foot" Silva and Daniel Cormier. And was that lineup of heavyweights impressive … From the true legend that is Barnett, through Antonio Silva who had proven to be one of the toughest contenders on the face of the planet, to current UFC Light Heavyweight Champion and Pound for Pound great Daniel Cormier. And among all of these, Kharitonov stood as one of the top threats to win everything. The stage was set. Sergei Kharitonov vs. Josh Barnett was about to unfold. I really did not know what to think of this match. Deep inside, I was a bigger mark for Sergei Kharitonov. I'd grown to be a big fan of him. Maybe it was because of his sharp style - mixing precise boxing with a great sambo game to create his well rounded style. Maybe it was how vicious he was when he threw down. Maybe it was his tough guy persona - looking dead at you, trying to take either your head or a limb. Or maybe it was all of that mixed with the fact that I'm eastern european myself. Whatever the case, this was a match that I really wanted to see and I was low key hoping for Kharitonov's success. However that was not to be. From the opening bell the match was very competitive on the feet. Striking was very on point, Sergei looked very sharp. And then … it all went downhill from there. Barnett got the back mount, put some ground and pound in, then transitioned to a triangle choke, secured the side mount and it was all over. In the very first round. Barnett's catch wrestling was on full display. Kharitonov had to go back and rethink a lot of things. During that time of reflection, he managed to accumulate an impressive showing in his Kickboxing performances. He had defeated legends like Jerome Le Banner and Mighty Mo (the latter prior to his Barnett loss) and had back to back matches with all-time great kickboxer Anderson Silva, resulting in a loss and a subsequent win (for the W5 Heavyweight title no less). Never really stopping to compete in MMA, Kharitonov has started to build up great momentum behind him again. Ever since his victory over Chase Gormley, whom he knocked out clean in the first round at Bellator 175, Sergei has been on a tear. Particularly interesting showing was his match with Geronimo dos Santos at M-1 Challenge 81. In typical M-1 fashion, the event was a true spectacle. Within a mountain ridge, warriors waged battle and fans cheered. And it was exactly here where Kharitonov pulled of one of the more interesting victories I've seen in a long while. Geronimo dos Santos had Sergei in big trouble early on. He had secured his back and was going for all sorts of chokes. I was thinking to myself … Are we going to see a semi-repeat of the Josh Barnett fight? Is Kharitonov really susceptible to submissions from the back? Will he be able to find a way out? And just as I was thinking that - he broke his neck free … a few more moments and he was in a sitting position. A few more moments and dos Santos was tapping from one of the weirdest ankle locks I've seen in MMA in a long time. Despite having his back open, Sergei had gotten dos Santos' ankle and managed to twist it in ways that I don't even want to think of. And sure enough - Geronimo was out and done. He needed a big break and treatment before being able to stand up. Now, after that impressive win, Sergei Kharitonov is riding strong on a winstreak that stretches for three fights against some tough competition. This is where things start to get very interesting. On M-1 Challenge 92, held on May 24th 2018 at 10:30 PM Eastern Time and available here on FITE, Sergei Kharitonov will be facing a very tough challenge in the face of the young and hungry Anton Vyazigin. Vyazigin has a lot to prove in this fight - having fought in M-1 for the majority of his career, he has faced top opposition early on. Having lost a majority decision to UFC veteran Philip De Fries, Anton has learned from his mistakes and will surely not take an MMA legend such as Sergei Kharitonov lightly. Sergei himself has a lot to prove as well. Despite his big record, full of wins over some of MMA's best, he is at a point in his career where he wants to make a statement. Having fought for well over 17 years in MMA, we have to take into account that he may not have a lot more in the tank left so he has to make the most out of every opportunity he gets. Crushing a young and tough competitor like Vyazigin will prove that he's still as sharp as ever and that he can hold a top position for years to come. However topping Vyazigin is a tough task. Kharitonov will face a very strong guy, who is very good at smothering his opponents, holding them tightly and then exploding in their face for a finish. He's very scary when coming forward, throwing everything at whoever's in front of him. If he can't get the shot in, he puts on a squeeze, tightens up his grips and lets go only when he's ready for another burst, tiring out his opposition in the process. The key to Kharitonov's success I feel lies deep within his combat sports pedigree and what made him successful throughout the years - the mixup of effective strikes within a comfortable range with intense throws and takedowns. Pretty much like the first fight I discussed in this article, Kharitonov's fight against Semmy Schilt, Sergei has to keep the stand-up at a comfortable range. Quick combinations of straights that wouldn't allow for Vyazigin's bursting offence to go through. When the time is right, use one of his bursts to get underneath and secure a throw. From there go to whatever's comfortable. Vyazigin puts a lot of weight behind his offence. That makes him very scary however also is the perfect opportunity for someone like Kharitonov to get in clinch reversals, all sorts of throws and takedowns off of some effective boxing. Popping the jab, holding the opponent's momentum back. This match is one I'm really looking forward to. It will be very showing to say the least. To me this is a match that will show a warrior, who carries the philosophies of PRIDE and old school MMA into a bout with what's currently seen as a good packaged, modern day contender who seeks to make a name for himself. If Kharitonov is successful in this bout, he can state his claim as one of the top contenders around and make a play for a King's spot at the top. And I do believe that he still has it - all of it. Everything needed to still be feared, to still be in top competition, to still keep going and showing how it's done. Only time will tell if that will be indeed the case though, as Anton Vyazigin surely has other plans. Stay tuned for this great bout, right here on FITE!